The Crescent Theatre began life in December 1923 when some City Council employees put on a Christmas Party show and discovered that they had some talent. The following January they had a meeting and decided to form the 'Municipal Players' and set about fund raising to build their own Theatre. For the next seven years they put on shows in the Council House canteen but in 1931 they had the opportunity to lease some premises on The Crescent along with the derelict Baskerville Hall behind. The group then set about converting the buildings into a Theatre with a raked auditorium, stage, dressing rooms, and workshops. This, their first Theatre, opened in April 1932 with a production of Edmund Rostand's 'The Romantics'. During the war the Theatre became Birmingham's Garrison Theatre and all manner of shows were put on their to entertain the troops. In 1946 the Theatre became one of the first to join the Little Theatre Guild of Great Britain, which was the brainchild of Norman Leaker, the first Chairman of the Crescent Theatre. Over the next ten years the Theatre acquired several adjoining properties and was enlarged to include a rehearsal room and a Theatre Training School, but eventually the Council wanted the land back and the Company had to leave. However, the Council offered the Company a new site in Cumberland Street on an interest free loan, and a new Crescent Theatre, designed by S.T. Walker and Partners, with seating for 296, opened in October 1964. The new Theatre had an innovative revolving auditorium and stage, the first seven rows of seats and the stage itself could be turned by 180 degrees to create an arena style performance space. The Theatre became home to an array of different productions including musicals which couldn't be housed in the old Theatre due to its small size. A Youth Theatre was formed in the 1980s, but not long after the Theatre was again given notice to quit as the Council had sold the land to developers. However, the developers, Brindleyplace PLC, agreed to finance the building of a new Theatre on Sheepcote Street and this is the Theatre we see today. The present Theatre, which was designed by Terry Farrell and John Chatwin, opened in 1998, and the previous Theatre was demolished the same year. 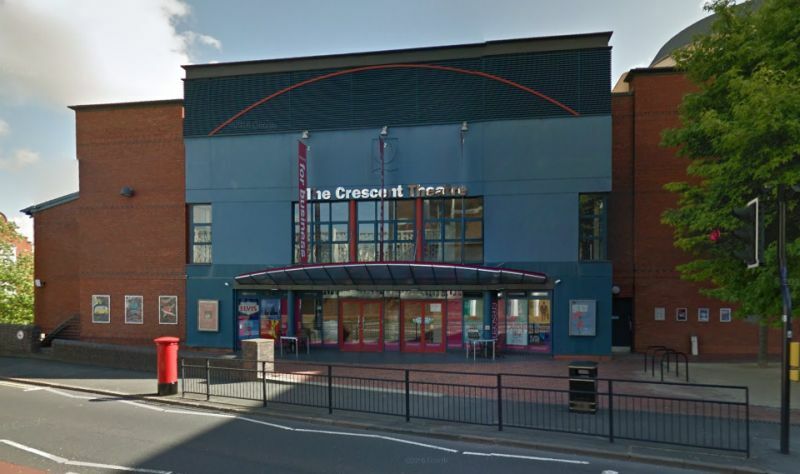 The Crescent Theatre today has two performance spaces, the Main House which can seat 340 people, and the Ron Barber Studio which can accommodate 120. You may like to visit the Crescent Theatre's own Website here.